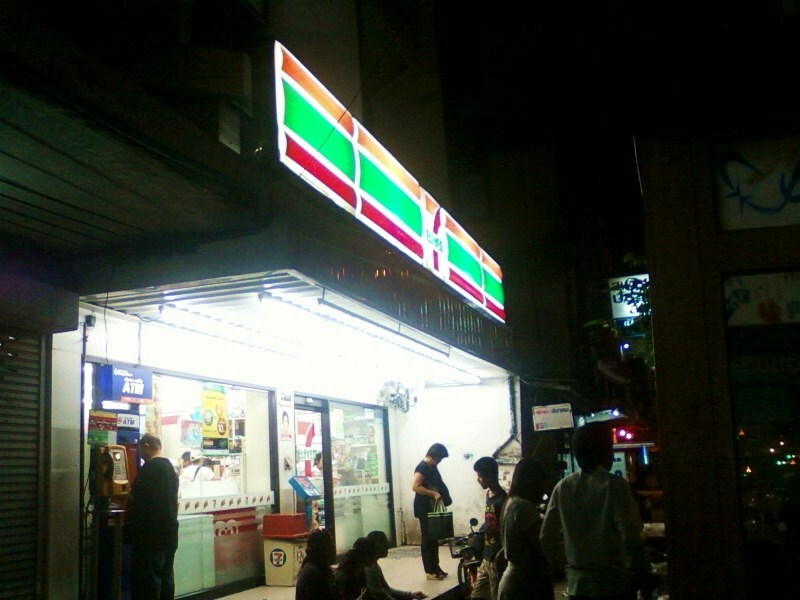 But silly me--a 7Eleven is never far away and I would have found one in either direction. And there would be another across the street from it so I wouldn't even have to worry about maneuvering through traffic. 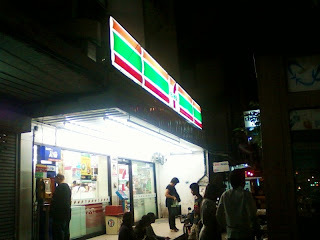 There are certainly more 7Elevens in one square block than what I grew up with in driving distance from my home. There are 5,409 7-Elevens in Thailand, half of which are in Bangkok, making Thailand have the 3rd largest number of stores after the US and Japan. Huh, don't count out the Japanese, I guess; they love 7Eleven, too. Right. That's what I meant. I never went there, did you? i've only been to 7/11 a few times in my life. the best day is july 11. free slushies. I did not know that. I wonder if it's true in Thailand.